John Petrucelli’s (PhD 2018) new album Presence will be released on October 2. 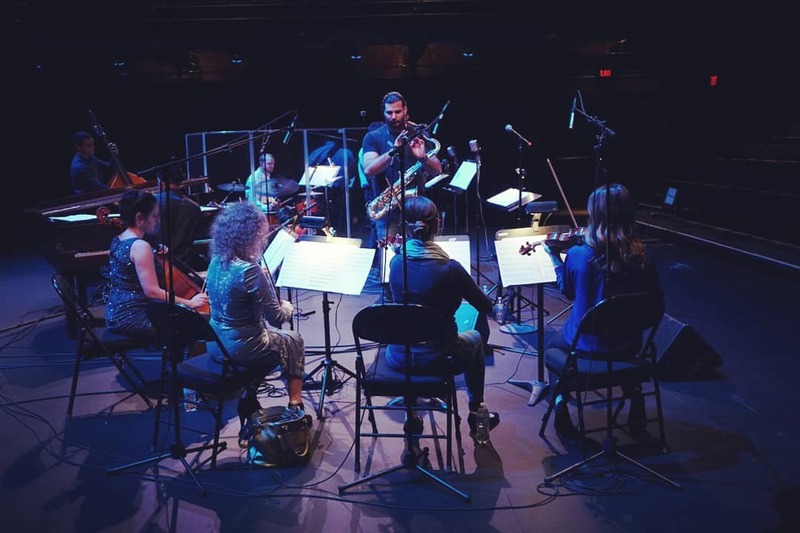 The album was recorded live at the New Hazlett Theater when Petrucelli presented his ambitious project as part of the New Hazlett’s CSA (Community Supported Art) initiative. The multi-movement work is scored for jazz quintet (tenor sax, piano, drums, bass, and guitar) with a string quartet and electronics. This fall, Petrucelli achieved another significant milestone having been appointed Assistant Professor and Director of Jazz at Northeastern State University. The new academic position, combined with the forthcoming album, demonstrate how John Petrucelli will continue to be a positive and energetic presence in jazz studies and performance. Watch an excerpt from Presence.